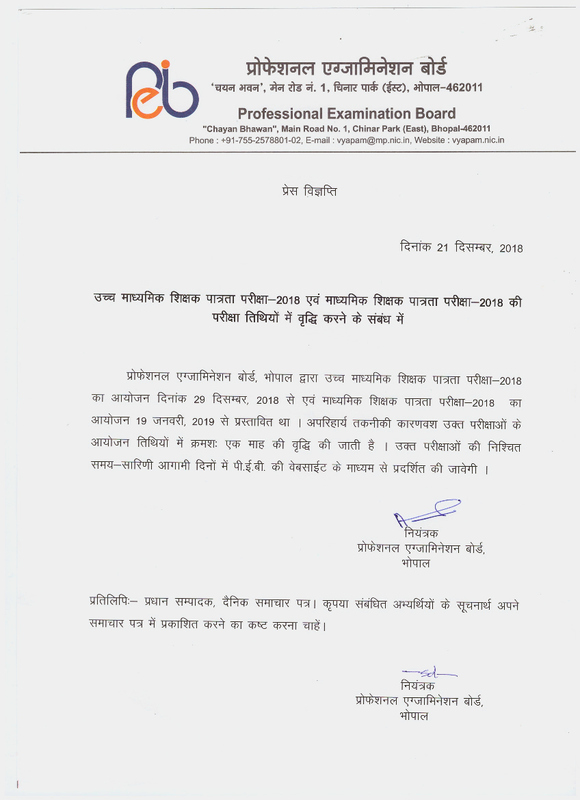 MP Professional Examination Board (MPPEB) has published a recruitment notification on 27/09/2018. The notification is for recruitment of Middle School Teacher. Here you will get the complete information about MPPEB Middle School Teacher Recruitment online application form 2019. You will get here complete detail about MPPEB Middle School Teacher application procedure, important dates, application fees, age limit, qualification, number of vacancies, pay scale and important links. If you have any doubt regarding MPPEB Middle School Teacher recruitment online application form procedure you can ask us via comment form given below. The application procedure to apply for MP Professional Examination Board Middle School Teacher recruitment 2019 is online. You are required to apply online through MPPEB Middle School Teacher online application form 2019. The links to apply online are given below.